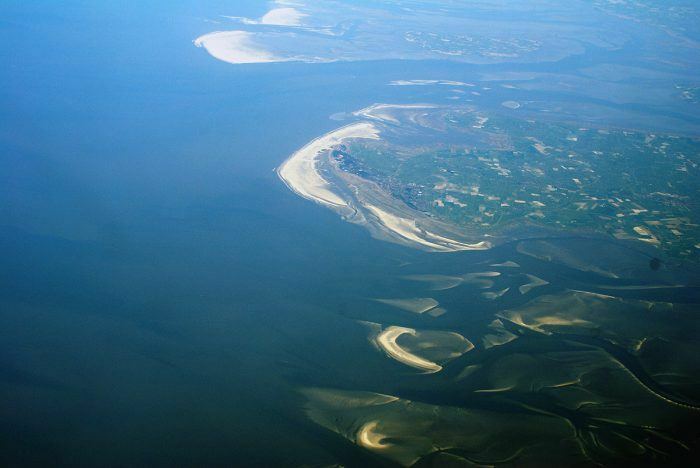 UNESCO has recognised the Wadden Sea as a natural world heritage site due to its unusual and unique characteristics. In the future, the Wadden Sea can also play an important role in climate adaptation. In ceasing to continuously raise the dikes, instead give more space to nature, the Wadden Sea becomes a natural climate buffer. The mudflats can grow with the rising sea. The most natural coastal defence possible is the best for safety AND for nature. This means as few hard boundaries (such as dikes and breakwaters) as feasible and more soft solutions, such as wet banks and sand supplementation. In addition, to be of benefit as well, natural processes (high and low tides, wind and currents) must be allowed to take their own course as much as possible (natural dune building, for example). Various organisations such as provinces, district water boards, municipalities and research institutions are working on natural climate buffers or Nature Based Flood Defence. NIOZ (Royal Netherlands institute for Sea Research) is conducting research on these natural defence structures and climate buffers in collaboration with various partners. The Wadden Association organises sessions on barges to study options for climate buffers round the Wadden Sea.